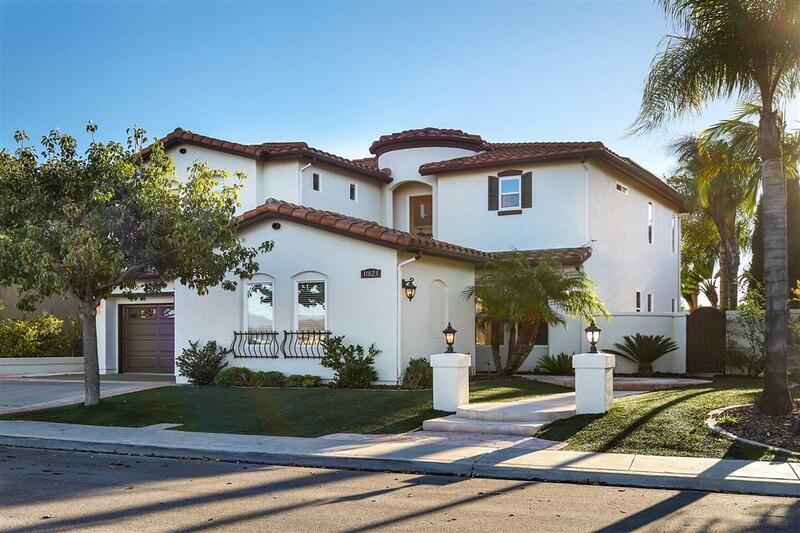 Entertainer's Dream Home @ Prestigious "Presidio" in Scripps Ranch! Designed for entertaining, this showcase home is a rare find that will impress you from the moment you arrive! 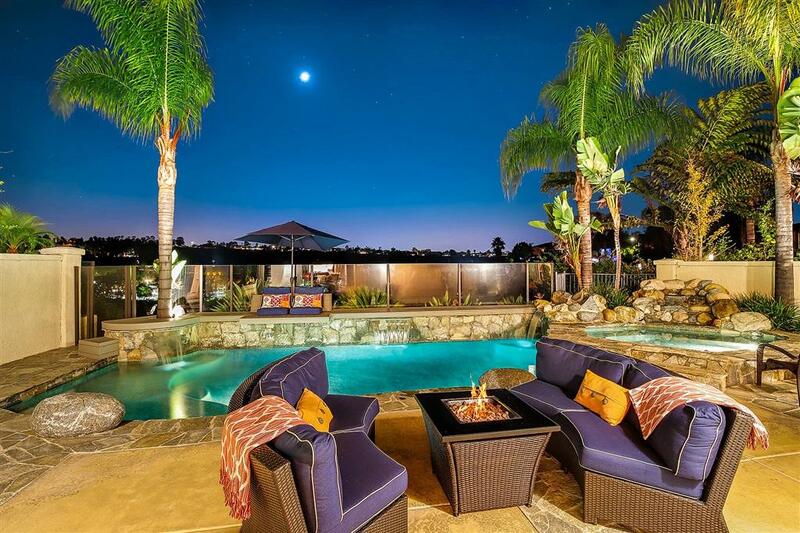 Premium top-of-the-hill location, breathtaking views from the front and back, high end designer upgrades throughout: La Cantina doors open to resort style backyard paradise with pebble tec pool, spa, trex deck, and multiple seating areas. Open concept interior floor plan with porcelain wood plank flooring, El Dorado stone wall... ...w/candle accents, custom fireplace, indoor/outdoor surround sound, stunning gourmet kitchen, white quartz counters, wine/glass cabinet, new interior and exterior paint, tall baseboards, crown molding, solar panels (leased/buyer to assume), new doors, new lighting fixtures, even the garage is upgraded with epoxy flooring, built-in cabinets, storage. 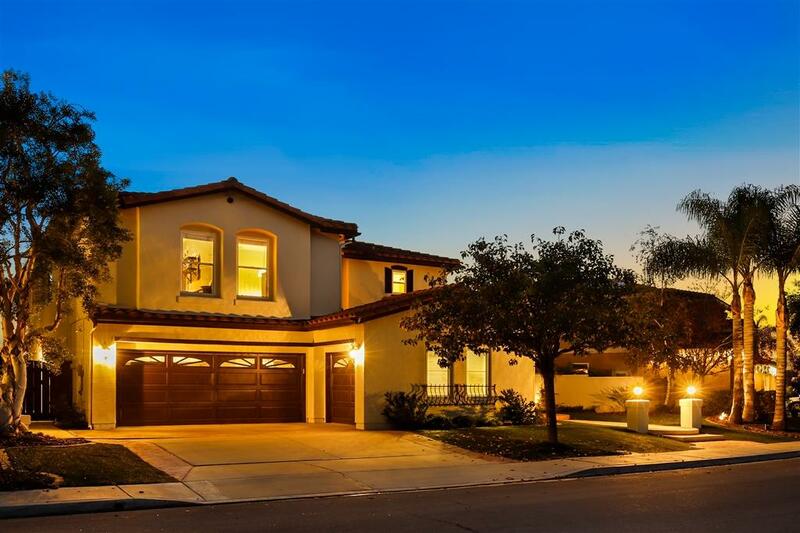 Shows like a new model home, close proximity to Ellen Browning Elementary School, the award-winning Scripps Ranch School District, shopping, restaurants, parks and freeways...must see this truly phenomenal home!